In the 11th century, a hunter aflicted with an unknown disease was miraculously healed after submerging himself in a fountain, having invoked the Virgin. 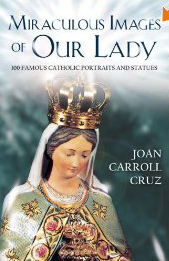 In recognition of this miracle, the hunter placed a statue of the Virgin in the vicinity of the place of miraculous healing, and the statue quickly attracted pilgrims from many parts. From the eleventh century data is the existence of the Abbey. Bégrolles-in-Mauges is a French commune, located in the department of Maine-et-Loire, in the Pays de la Loire region, in the city of Beaupréau, in northwestern France, with a population of just over 1500 people . 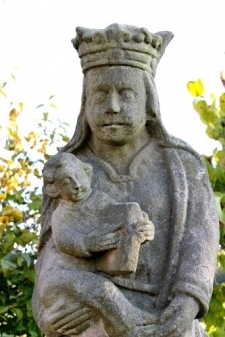 From the thirteenth century, and was venerated statue of the Virgin under the title of Notre-Dame-de-Bellefontaine. In the eighteenth century, had built a shrine around the statue of the Virgin. Place The guard told a hermit and the hermitage, who miraculously survived (along with of the statue of the Virgin) to revolution, disappeared during the WWI. Benedictine Abbey alongside, was founded at the end of the eleventh century. Confiscated, sold and plundered in 1791. Some returnees reestablished Trappist Monastery in exile after 1816 had led to Russia and America.